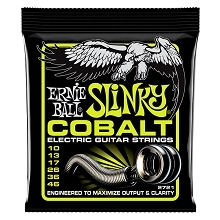 Ernie Ball Slinky Coated Electric Guitar Strings are the result of the combination of technological advancements in string manufacturing. 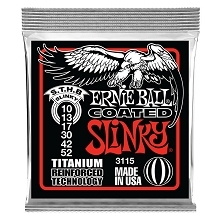 The Ernie Ball Slinky Coated Titanium RPS Wound strings are treated with nanotechnology that repels unwanted moisture and oils that kill your strings tone. 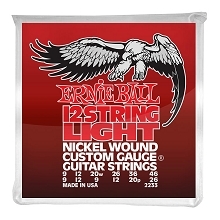 To compliment these treated round wound strings each plain steel string features a patented reinforcement winding of titanium wire. 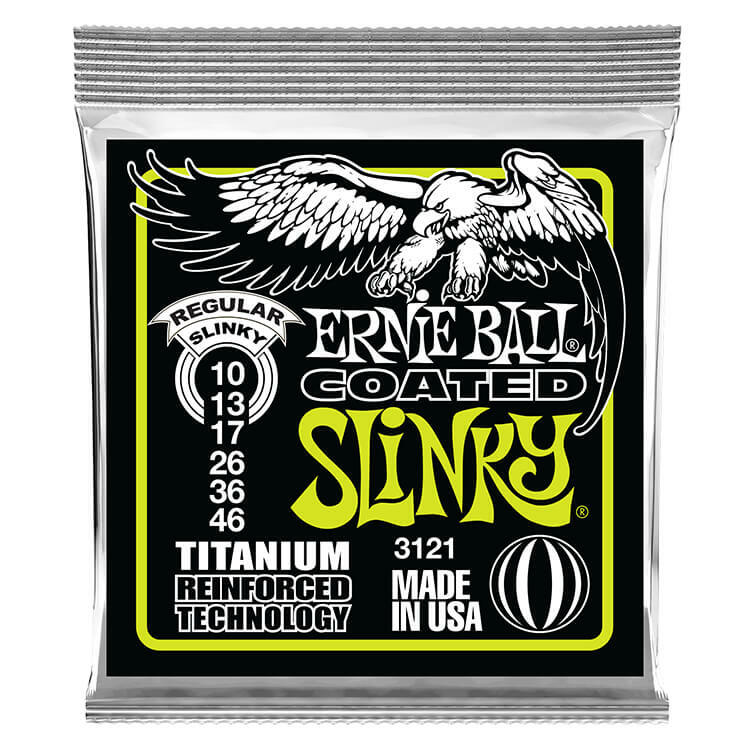 Titanium's strength prevents string breakage, and slippage at the ball end to help keep your guitar strings in tune better than traditional plain steel strings. 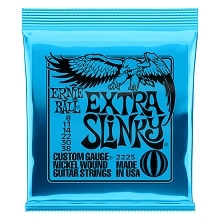 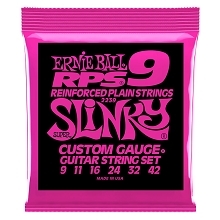 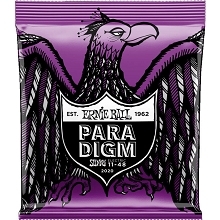 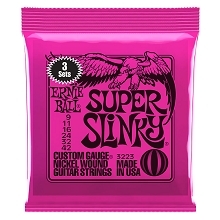 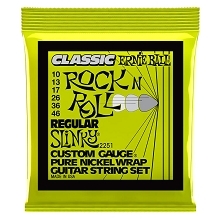 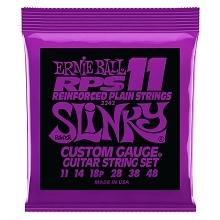 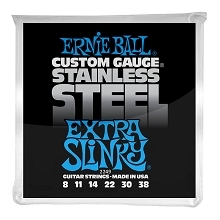 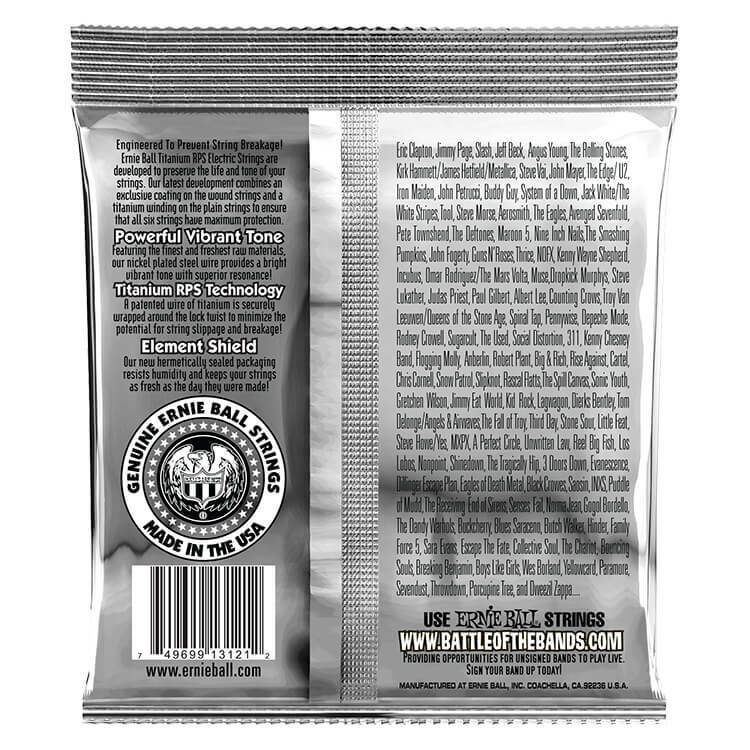 Ernie Ball Slinky Coated Titanium RPS strings feel and sound like untreated Slinky strings.